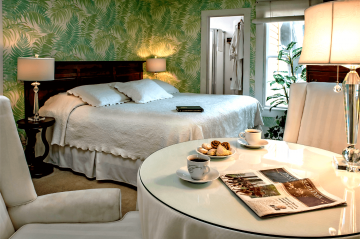 Take a break from your day-to-day routine and stay with us. 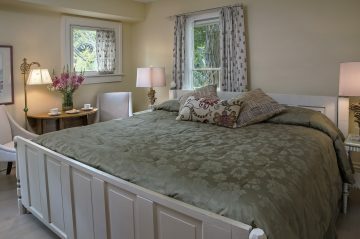 Our gorgeous Western New York hotel provides the best accommodations in Chautauqua. 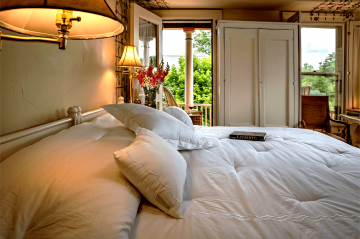 The Spencer Hotel & Spa is in the center of the historic Chautauqua Institution, a community of continued learning. 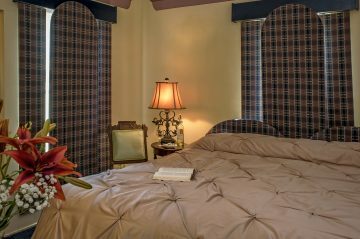 With our beautiful grounds and friendly service, you’ll find that our hotel provides the charm and ambiance of a bed and breakfast with the modern amenities of a fine hotel. 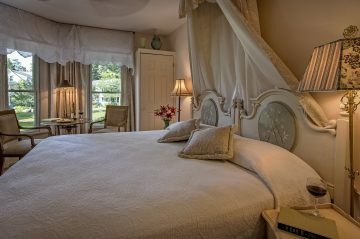 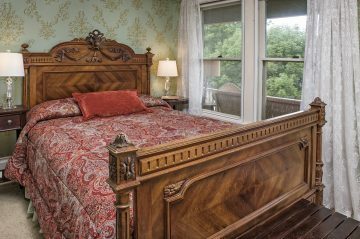 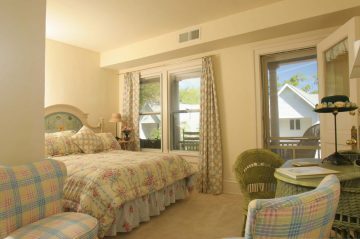 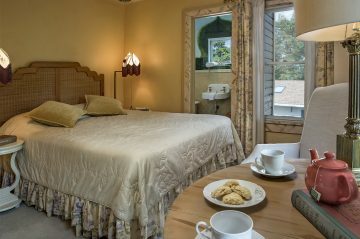 Relax and unwind in one of our 15 standard rooms for the ultimate cozy bed and breakfast feeling. 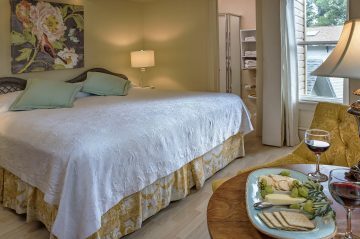 If you’d like a little more space try one of our 8 beautiful suites, all are equipped with a convenient kitchenette. 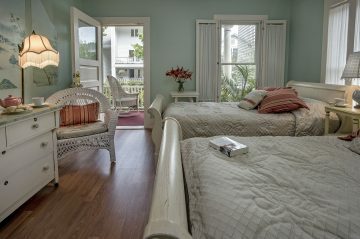 We even have an apartment available. 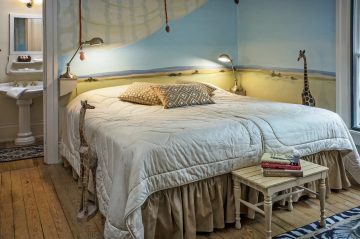 Our unique literary theme offers an experience you will not find anywhere else. 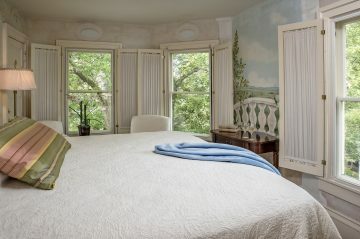 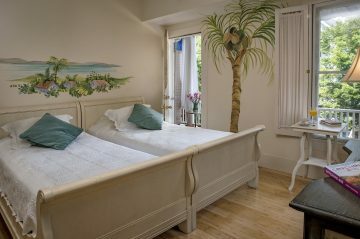 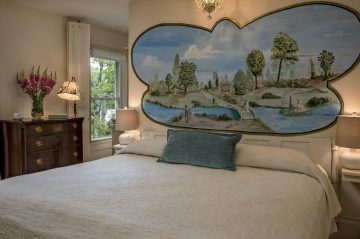 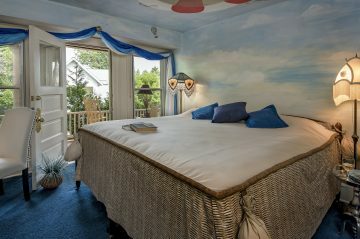 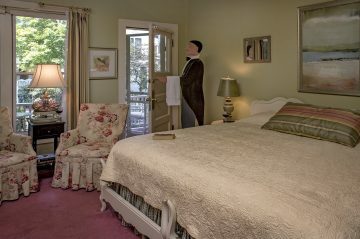 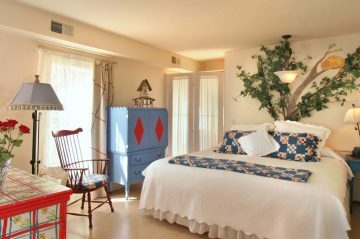 Each of our rooms is dedicated to a famous author, all rooms are decorated with murals painted by local artists, and feature music from during the author’s lifetime and a selection of library books written by the author. 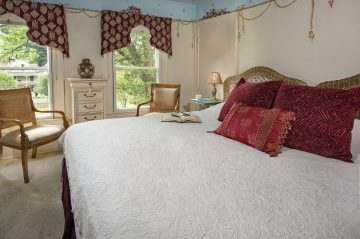 All our rooms have cable, free Wi-Fi, luxurious linens, and high-end bath amenities. 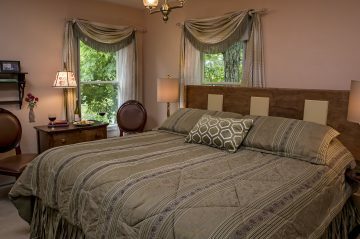 In addition, many of our rooms include a Whirlpool or Jacuzzi bath, and direct access to our large porch that overlooks Chautauqua Lake and Chautauqua Institution’s Amphitheater. 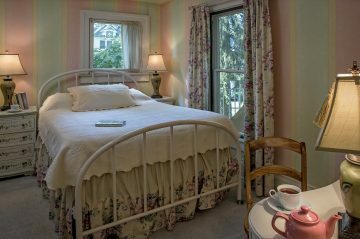 Whether you are looking for Chautauqua Lake lodging or a place to stay in Chautauqua Institution, The Spencer Hotel & Spa has the perfect room for you. 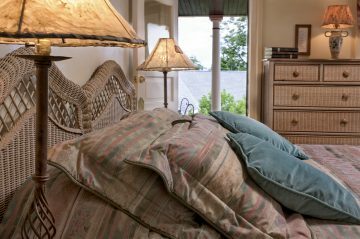 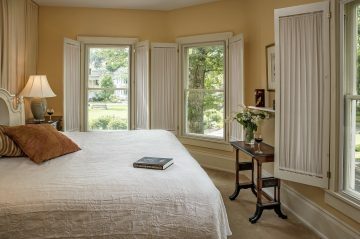 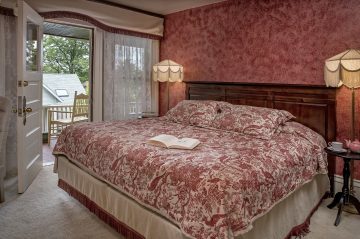 Browse all our luxury accommodations below or contact us and let us help you find your perfect room here in Chautauqua, New York. 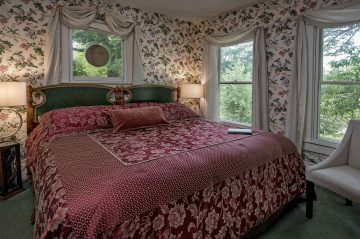 Note: All guests are invited to use the porches. 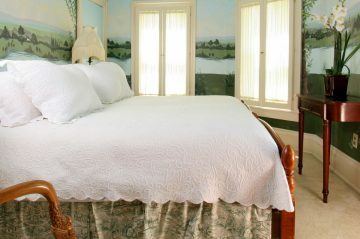 During the Chautauqua Season, a hot breakfast every morning & a gourmet dinner Monday-Friday are included in your room rate.